Back in March, I had the pleasure of interviewing the very humble but well decorated videogame music composer and producer: Craig Stuart Garfinkle. Craig has enjoyed a long career in games, from earlier projects like TSR’s Dragonstrike in 1993 to the title song for Fallout, Brotherhood of Steel on PS2 and Xbox. More recently, however, Craig and his wife Eimear Noone have been busy with plans to annually share and celebrate their passion for orchestral videogame music with iDIG Music Festival (Dublin International Game Music Festival), the second of which is being held on 29-30th April 2016 at RDS, Dublin and 1st May 2016 at the Convention Centre, Dublin. 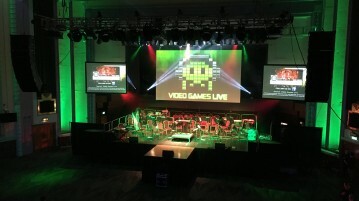 The festival promises an inclusive atmosphere, including a Cosplay Ball, fan-art showcase, interactive exhibits, seminars, the European Premiere of videogame music documentary: ‘BEEP’ and even a live performance of Tommy Tallarico’s Video Games Live show to close the celebrations. Building on the success of last year’s Festival, Craig hopes that it will continue to grow and spread the message. Phil Dinsdale: Hi Craig, thanks again for taking the call! Just making the final preparations I guess…29th April is it? Craig Stuart Garfinkle: Yeah, 29th/30th at the RDS. We’re doing seminars and chamber ensembles…smaller concerts, then our main concert is May 1st at the convention centre. At their auditorium, there. PD: So, obviously thanks again for your time ahead of the festival, I’m sure you’re extremely busy. The main question is how did it all come about? It’s “iDIG Music Festival”, right? CSG: The impetus was that she wanted to do something back home in Ireland. She really hadn’t done any work since like 2001/2002, she just hadn’t conducted at home. CSG: Yeah, so she was thinking it would be nice to do something at home and we were working with Video Games Live and our friend, Tommy…and she started thinking “well let’s do a Video Games Live show”, but no it’s gotta be bigger than that, it’s Ireland, it’s home for her. So why don’t we just turn it into a whole music festival? PD: …and the internet went mad. CSG: Yeah, everything went mad. Dublin’s a great town to have a party in…and that’s really all this is; just a great excuse to have a party and get all our friends together to enjoy it. PD: Ah, I can fully understand that! CSG: And so, from then it just snowballed. All of a sudden it’s like “OK, let’s go see what it takes to book the convention centre…and this, and that, and the other”. We had produced shows before, we had produced concerts before, but…last year we had never produced a festival and we had no idea what we were getting into! Had we, I don’t know if we would have continued! PD: Yeah I can imagine! CSG: It’s a very…daunting…is not the real way to describe it…if you really wanna do a festival right, you gotta have a personal relationship with everybody…and everyone that’s coming to the festival isn’t just an attendee for us, they’re our sponsors because we don’t really have a huge sponsor that is behind all this. It’s basically just Eimear and I. So we really work diligently to…give personal attention to everyone…I’m answering hundreds of emails on a daily basis. CSG: People are coming from Spain, France, The United States all to be a part of this event so we want to make sure they’re being treated well and they’re getting good value. PD: Yeah it makes sense. So not only are you the product owners of the festival, but you’re producing the music and you’re performing and doing the marketing, all the running around. That’s a huge thing to take on, but I guess it must be reciprocated because people are really excited about it! CSG: Yeah, they are excited…it’s not like I’m doing it all on my own. We have a lovely team of volunteers; like my friend Chris Rooke who created the website. Another friend of ours has taken over the Cosball, acting as DJ and hosting that event…Eimear and I will still be hosting the concerts and everything else, the way we did last year. Craig and I went on to discuss some very exciting upcoming yet to be announced events and news that we’ll cover here soon, the direction and future of iDIG Music Festival, ties with Video Games Live and what it means means to Craig and Eimear as musicians. Much of the conversation from this point was ‘off-the-record’ but we’ll catch up with Craig after the festival to see what’s next! CSG: We have a great relationship with Tommy Tallarico and Video Games Live. We’re just all really working together to bring orchestral videogame music to a larger audience; that’s all we want to do. So Tommy has kind of taken us under his wing to allow us to use his Video Games Live show as an anchor for ours. Just as we began to go into some more detail about the iDIG Music Festival vision and future, our Skype call was gatecrashed by non-other than Craig’s spouse and peer: Eimear Noone herself. You can read the conversation with Eimear here. Once the festival is over, we hope to reach out and get Craig and Eimear’s thoughts on the future of iDIG Music Fest! 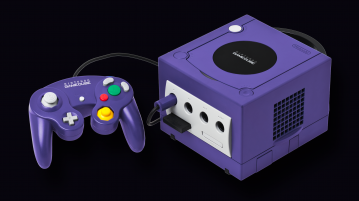 Next Article Happy Birthday GameCube!